State after state will go bankrupt, asking the even more bankrupt federal government for a bailout. Dozens of Michigan’s municipalities and school districts could soon face major financial problems and an unnamed handful are on the brink of becoming insolvent, warns State Treasurer Andy Dillon. To prepare for the onslaught, the state treasurer’s office will start training 50 emergency financial managers this week to help the state cope with an expected rise in communities facing financial collapse. The training will focus on helping local governments avoid a state financial takeover while emphasizing early intervention, Bond Buyer reports. 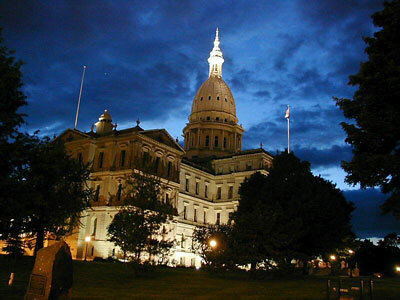 Overhauling Michigan’s emergency financial management act is a key legislative goal for new Gov. Rick Snyder ( R). He is expected to introduce a bill this week that would strengthen the authority of emergency financial managers and allow the state to intervene more aggressively in financially distressed communities.